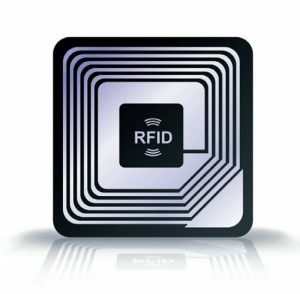 Radio Frequency Identification or RFID is a wireless system that uses electromagnetic fields to transmit data from one object to another, without the two objects touching. You might have used RFID cards before or seen its implementation ( Ex- Metro Stations ). There are various kinds of RFID tags available like the one shown below. Note : Most of the Card Readers operate at a frequency of 125kHz. Basically, the RFID Protocol includes two low frequency bands at 125kHz and 134.2KHz and high frequency at 13.56MHz. RFID Tags : As explained, RFID Tags / Cards send out short-range radio signals which are picked up by an RFID Reader. RFID Tags can either be Active, Passive, Battery-Assisted Passive. An Active tag has an board battery and then transmits its signal. 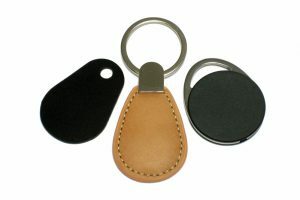 A Battery Assisted Passive Tag has an on board battery but gets active in the vicinity of an RFID Reader. A Passive Tag has no battery uses radio energy transmitted by the reader. They aare powered by the energy from an electromagnetic field produced by the RFID Reader. 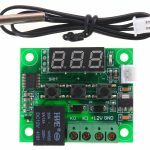 This field is transmitted by a fine coil of wire, which also acts as the antenna for the transmission of data between the Card and the Reader. Inside an RFID Tag is a tiny integrated circuit that can be accessed by a specialized Reader. Note : Remove the Rx and Tx pins when uploading the code. Open the Serial Monitor and place the Card ( or place it near the Reader ) on the Reader and there you go! It will display your card number which is unique ID of a particular Tag. 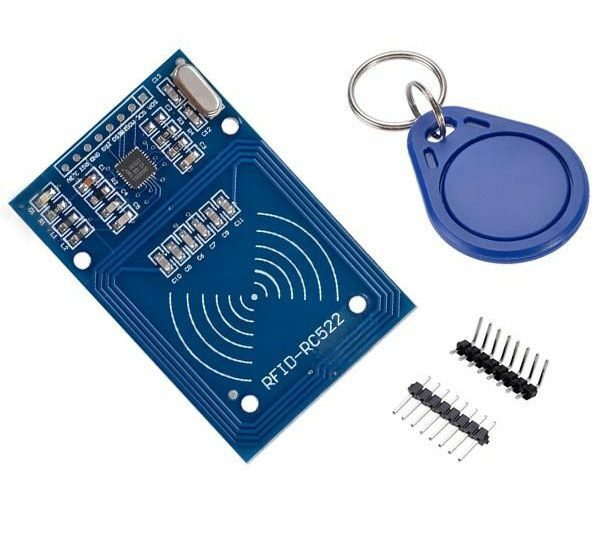 Now when we know how to use the RFID Module and Tag, let us make a simple RFID System. If you place the correct card, then only the Reader would accept it or else it would be rejected. The RFID Tags convert the Card Number into Hexadecimal, then send it over. You need to go near a person with the Receiver in your pocket to note down the card number. The Receiver will automatically catch the Card Number of the RFID Tag. Convert the Number into Hexadecimal. You also need to be sure of the frequency at which the card operates. You can check the lock system to find a label with the frequency given. Make a Radio Oscillator of the same frequency and transmit the hexadecimal data to break the lock. Nowdays, most of the RFID’s are encrypted which makes it very difficult to be hacked. I hope you found the guide useful. If you have any questions, feel free to ask.